Lets not forget that farmers themselves are very innovative and willing to try new things – still, they proceed with caution. So, technology adoption will most likely continue to be a pain point in agriculture, but having awareness of these principles may help developers smooth the path moving forward. Is Ag Tech Adoption an Issue? 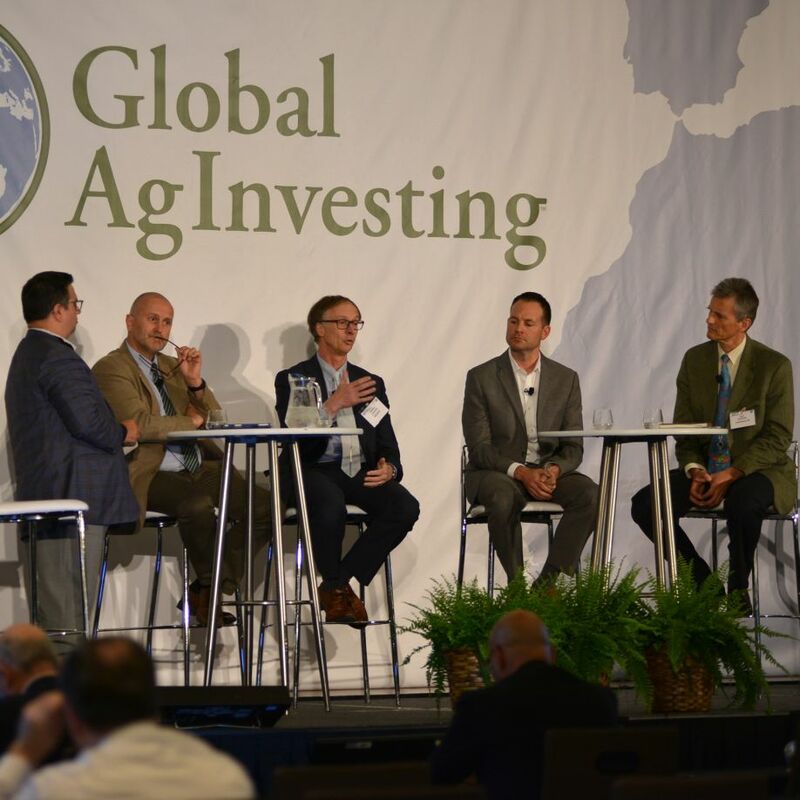 This past April, I had the pleasure of participating in a panel discussion at the 2017 Global AgInvesting Conference in New York with some industry friends – Gottfried Pessl (CEO, Pessl Instruments GmbH), Matt Waits (CEO, SST Software) and Karl G. Gutbrod (CEO, meteoblue AG). We came together as “pioneers of Ag technology” to discuss the past, present, and future of our industry. During our discussion, a question about technology adoption was brought forth, “Is adoption an issue?” This question tends to arise in some manner in most conversations about Ag tech, so I feel it deserves a closer look. Through the years, I have attended many conferences on satellite technology and software, and I would also wear a special tie – either one with ears of wheat or sugar beets. When my counterparts would speak about how complicated their technology was, I’d simply point to my tie and remind them plant life is a thousand times more complex than anything they launch into space. The unknown variables of nature force farmers to be biologists, climatologists, epidemiologists and chemists (and that’s just to deal with plant life, they dutifully wear many other hats when operating their business). Growers have no problem understanding and adapting to complex systems, they do it daily. As much as growers need to adopt the technology, the technology needs to adopt agronomy. Humans govern technology, which is why we can quickly develop and deploy new tools on a regular basis. But the Ag tech industry must conform to the growing season. Throughout most of the world, growers have one planning season per year and one harvest per season. If you miss your deployment window, you often must wait a full year before anyone will consider your technology. It has nothing to do with slow adoption. Going back to the initial quote from historian Arthur Schlesinger, we need to accept that adoption has just as much to do with the historical experience of an individual as it does with the development or deployment of the technology. For any technology to be adopted, the target audience must be understood fully. Most growers have been working in the fields for decades, trained by family members that came before them on a long heritage that may span hundreds of years. If you’re going to claim that the models backing your technology make better decisions, you’d better be able to prove it. The “X factor” in most models that growers understand better than anyone is the weather is not 100 percent predictable 100 percent of the time. At the end of the day, it’s about risk management for most growers. That is where you must compete with their intuition. Additionally, you have to accept that by introducing a new piece of technology to a grower, you are asking them to take on a new level of risk. Until your technology has been proven on their operation, it’s a risk. Growers are forced to take on large risks every year – why should they take on more with your technology? Have you made their job easier? Are you increasing their profitability? Have lowered their risk? If you can’t provide simple answers for those question, your technology will not be adopted by the agriculture industry – no matter how innovative it may be. No matter how great your technology might be, you must drive the adoption. Consider Apple, its retail locations are just as much about technology adoption as they are about sales. The creation of the Genius Bar was … genius. It provides Apple customers with direct access to a real person for expert technical support, eliminating the risk of investing in a technology that they won’t understand how to use or how to fix when issues arise. It also helps ensure that users get the most out of the technology, so they feel the return on their investment and are more likely to invest in future offerings. Apple is rarely the first to release a new technology, but they are often the most successful. This is where we see so many startups fall short – they try to push adoption at the grower level, but they don’t have the marketing or customer support staff to manage adoption at that level. That is exactly why we focus on the industry level for our production support tools at Geosys – it gives us a smaller customer base so we can better target our marketing and support for greater adoption. We can help manage adoption with our direct customers and then continue to support them as they take the tools and technology into the field. In this process, our customer becomes the local user and can further enhance their relationships with their growers. Let’s not forget that farmers themselves are very innovative and willing to try new things – still, they proceed with caution. So, technology adoption will most likely continue to be a pain point in agriculture, but having awareness of these principles may help developers smooth the path moving forward.